On Wednesday 30th January we welcomed an outreach Sports Scientist from the School of Sport, Rehabilitation and Exercise Sciences (University of Essex) to lead a session on ‘Training at Altitude’. 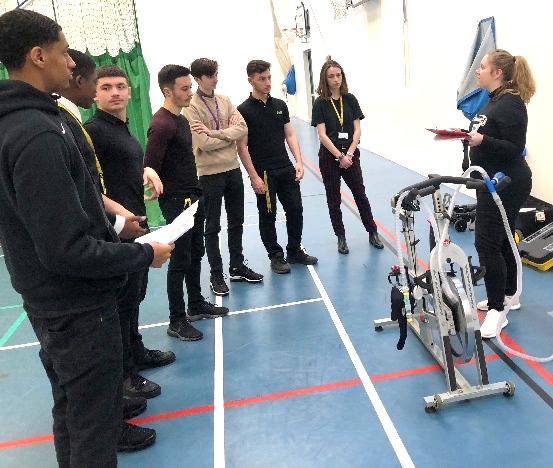 The practical session involved a student cycling at varied intensities (low, moderate and high intensity) in normal environmental conditions and then after a short rest, at a simulated altitude of -2000m, using a portable hypoxic generator. Students collected data and analysed this after to discuss the body’s response to exercise and the effects altitude has on performance. 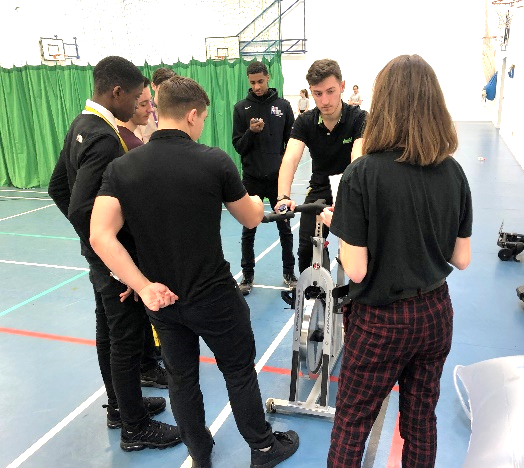 This was then followed by a theory presentation covering the various methods of altitude training and the resultant physiological adaptations, which really engaged the students and reinforced the learning that has taken place in the classroom. The students had the opportunity to ask questions regarding higher education during the university presentation and many were interested to learn about the different courses on offer at the University of Essex and the experiences they could gain there. We are planning to visit the University in the near future to attend a Biomechanics and Sports Psychology workshop which will further deepen the understanding of our A level cohort.